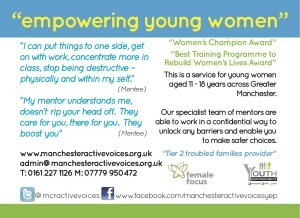 Manchester Active Voices is a Youth Empowerment Programme providing Mentoring support to young people within Greater Manchester. Using a solution-focused approach we raise the awareness of emerging issues that impact young people. 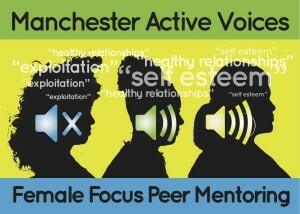 Commissioned by the department of education (DFE) the Female Focus Peer Mentoring Project is a free bespoke programme tailored for young girls aged between 11 and 18, providing support for young females at risk of exploitation within Greater Manchester. This approach provides an opportunity to reduce exploitive related abuse thereby getting the “first response right”. The Female Focus Peer mentoring offers a safe environment for mentees to explore their experiences, ideas and deepen participants’ self awareness and self development. 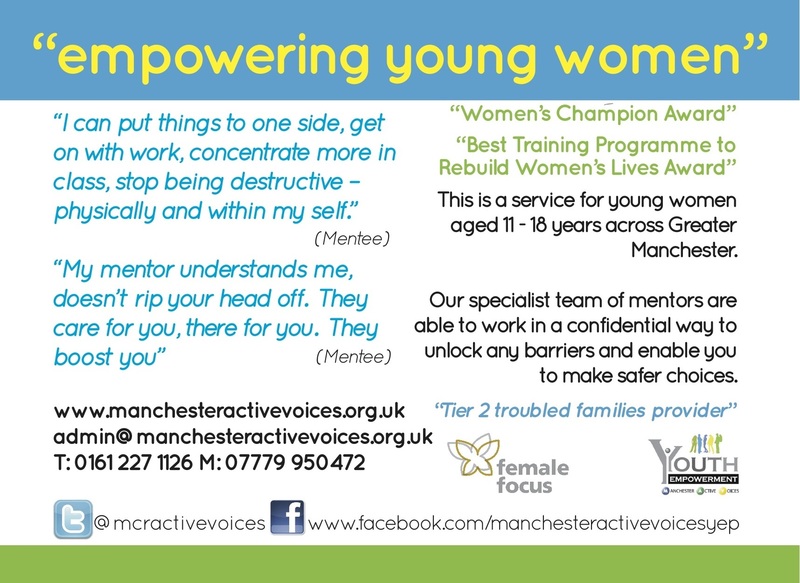 Our Peer Mentors are able to unlock barriers of engagement for vulnerable young girls by drawing on a range of life experiences and working within a bespoke mentor model.